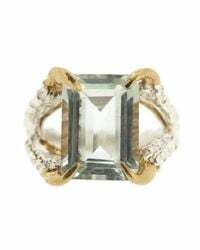 See more Tessa Metcalfe Rings. We check over 450 stores daily and we last saw this product for £240 at Wolf & Badger. 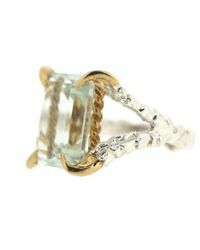 This ring plays on the traditional four clawed engagement ring setting but with pigeons claws creating the bespoke structure holding the stone within their grasp. The large pale green quartz is the birds prize possession. 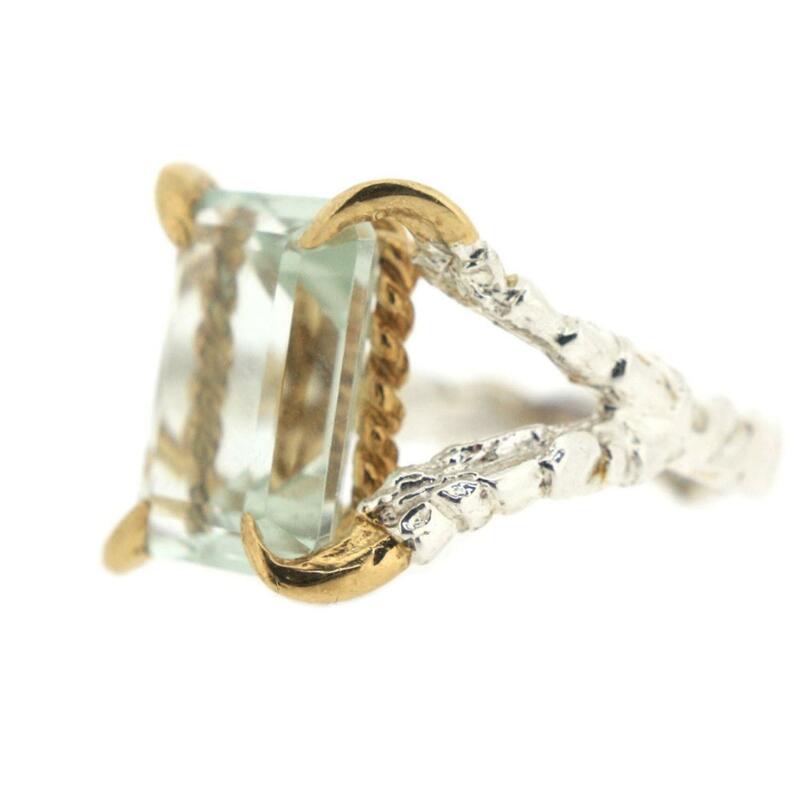 The art deco emerald-cut of the stone has strong geometric straight lines which contrast nicely with the organic rough texture of the claws. 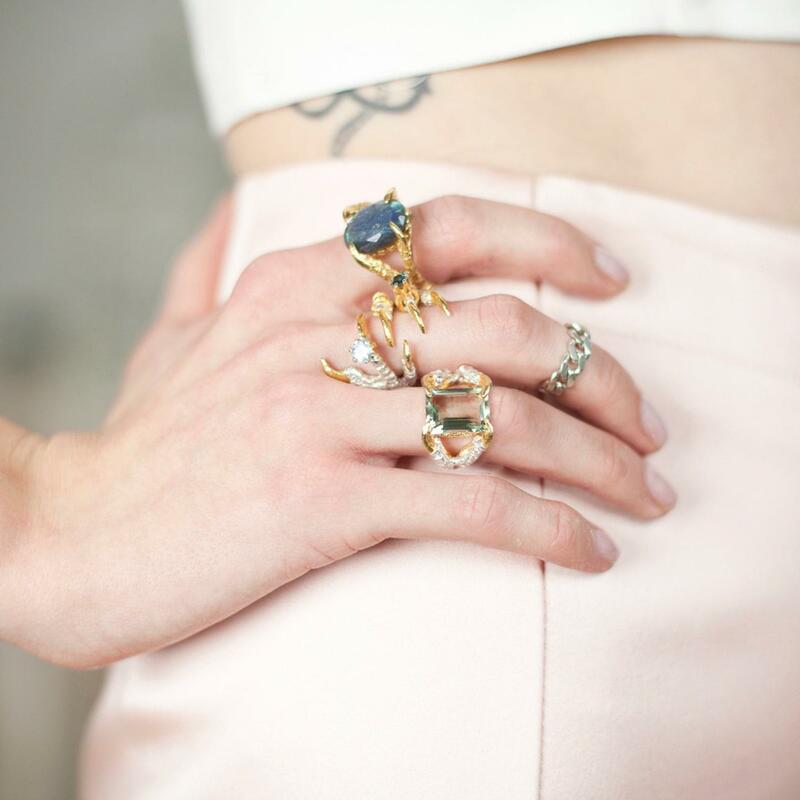 Cast in solid silver the piece features TM's trademark hand-painted gold plated nails adding that touch of fantasy. This is a narrative piece, a real show stopper, flaunting the humble street pigeons feral lust for jewels. Based on TM's fantasy London underworld. 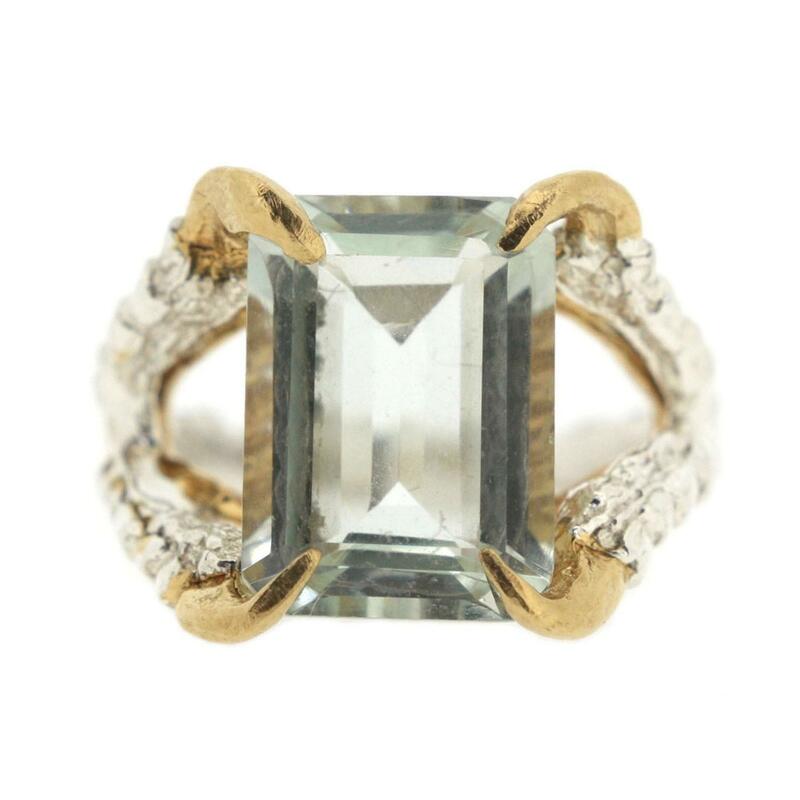 Solid silver, gold plated detail, emerald-cut green quartz.